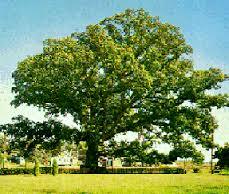 White Oak Tree is a large shade tree that can be known for its impressive longevity. White Oak is an essential part of the ecosystem providing small acorns that are primary food sources in the winter for squirrels and deer when no green food is available. These trees can be known to live for as long as 300 years, and never stop growing. This tree will grow massive and will need to be raised far from any house foundations or electric lines. White Oak has golden brown or deep red fall foliage. These do amazingly well when planted in full sunlight and can adapt great to all different types of soil conditions. This tree is beautiful all year round and are very strong and can withstand all kinds of storms and winds. They usually bloom during the spring and early part of summer. They are great for all homeowners and can be grown very easy with little or no maintenance to them. White Oak Trees do grow to become very large and needs lots of room and a large lawn or landscape to grow and mature and become healthy. They also bring lots of curb appeal to a home.The white oak tree is also known as Quercus alba. It is a tall, hardwood tree that is predominantly found in the central and eastern regions of North America. The white oak tree can have an incredibly long life. Some specimens have been documented to be over 450 years old. Although this tree is called a white oak, it is sporadic to find an actual tree with white bark. The name instead comes from the finished wood product of the white oak tree. The wood of the white oak is surprisingly resistant to water and rot. Because of this, white oak is famous among coopers to make wine and whiskey barrels. This also makes white oak ideal for the construction of boats, houses, and tools. 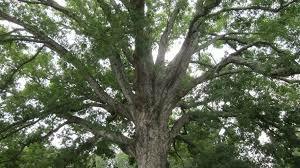 White Oak Trees are large shade trees.